Is a Fitbit Worth the Cost? I got a Fitbit a few days ago. My husband bought it for me because he loved his so much he decided I should have one too. He has had one for a couple of months now, and I believe our daughter is currently on her second one. The two of them seem to love using their Fitbits to track their heartrates, sleep cycles, number of steps each day, and more. They even compete to see who gets more steps by the end of every day. Since I have only had mine a few days I haven’t even had a chance to explore all of the features yet. But it has me wondering, is a Fitbit worth the cost? For a Fitbit to be worth the cost it must first be accurate. Otherwise, you may have shelled out anywhere from $50 to over $250 for digital piece of junk. Of course, it isn’t that I have anything against a Fitbit. That would be a bit hypocritical since I am wearing one at this precise moment (by the way, I got 7,049 steps in today). But the accuracy needs to be a whole lot better than the pedometers I used to use in my youth. Some studies show that not only does a higher price not guarantee accuracy, but neither does the device itself. In fact, the article continues on to tell us that smartphones have a smaller margin of error than a Fitbit. Surprisingly, pedometers were better yet. Convenience is a key factor in determining whether or not a Fitbit is worth the cost. For example, the problem I had with pedometers in the past involved both accuracy, as I stated above, and convenience. When it comes to convenience, pedometers fall short. Most clip to your waistband which isn’t the handiest when you are exercising. As a result, when you wanted to see the numbers on your pedometer you had to either unclip it, or pull the entire waistband of your pants away from your body. If you are using a smartphone to track your steps they are not going to be any more convenient to carry than a pedometer is to wear. Most people either carry them in their hand or wear them on their upper arm in a special sleeve designed to hold a smartphone. A Fitbit is by far the most convenient. Many people who wear them tend to forget they are even on after a while. As my husband exercises with his personal trainer, for instance, he keeps his on the whole time and loves it. Features are another issue that may have influence as you try to decide if a Fitbit is worth the cost. To truly be able to compare features to other devices may not be possible, though, because they don’t do the same things. A simple pedometer will usually count steps and may tell you how far you have walked or how many calories you burned. Your phone may tell you a little more, depending on the app you use. But neither of them do what a Fitbit will do. Wearing a Fitbit allows you to know how long you sleep each night. It will also tell you how long you were awake and what your heartrate was. You can track your resting heart rate as well as what it is when you are exercising. My own Fitbit will allow me to set reminders to get up and move. It will also allow me to track my water consumption and what I eat each day. Additionally, I can set it to vibrate when I get a phone call if I want to. I can even make money while I am exercising and wearing it if I chose to. Purchasing a smartphone can be anywhere from zero to several hundred dollars depending on your choice of phone plans. Obviously a phone has many more features than simply tracking your steps, though. A pedometer falls on the other end of the scale as being the cheapest alternative. But although they run from less than $10 to around $50 they also lack many other features. The cost of a Fitbit is, I’ll admit, much more than a simple pedometer. However, I find I am already excited about using the other features to my advantage as I work to get back into shape. 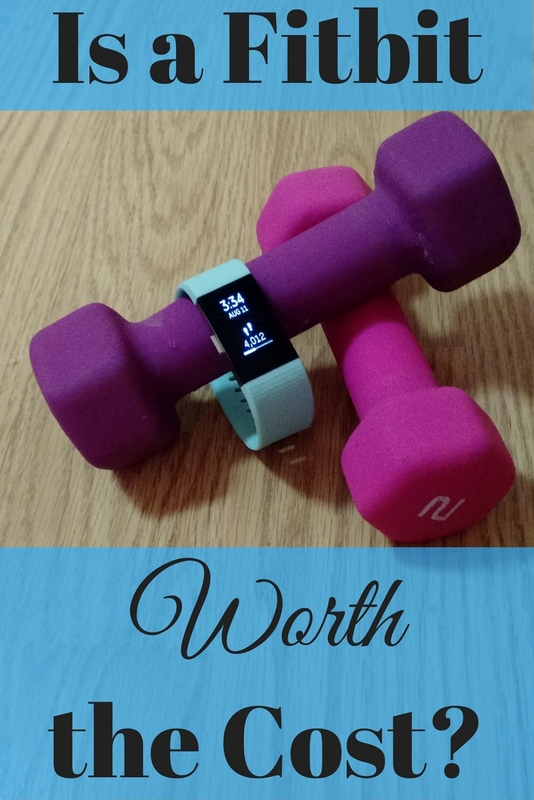 If you are still wondering, is a Fitbit worth the cost, you should compare cost, features, convenience, and accuracy before making your decision. Do you think the features of a Fitbit make it worth the cost?